In an earlier article we posted photos of Lake Ascania (Iznik Gölü) at the place where the first Ecumenical Council met. Nearby there is a beautiful view of a small lighthouse with the mountains of Bithynia in the distance. 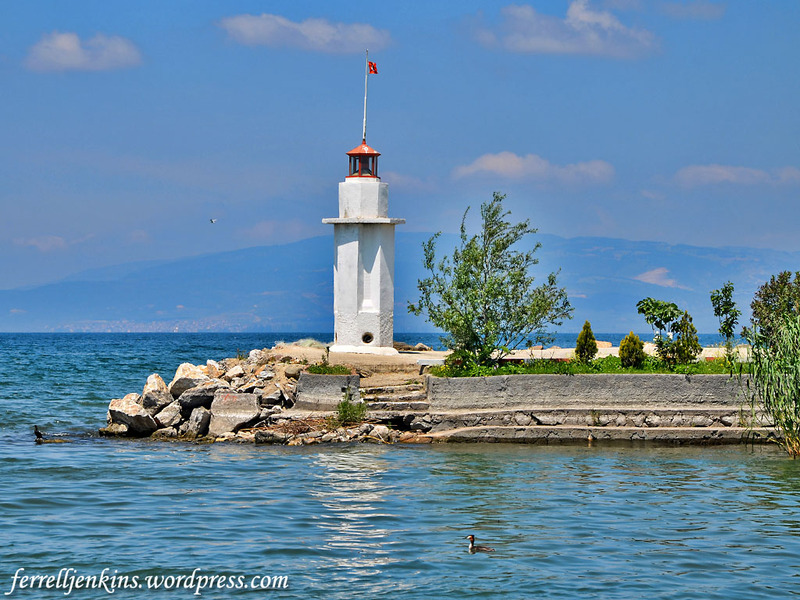 Lighthouse in Lake Ascania at Iznik. Photo by Ferrell Jenkins. Its inscription in Greek reveals that the obelisk was built by C. Cassius Philiscus in the 1st century. It rises over a rectangular prismatic pedestal, and includes five triangular prismatic stones one over the other. The inscription on the first of the triangular prismatic stones is in poor condition. The second stone indicates that something was once attached to the obelisk. Some suggest that it was a life-size human figure. Wilson says the obelisk is 39 feet tall. 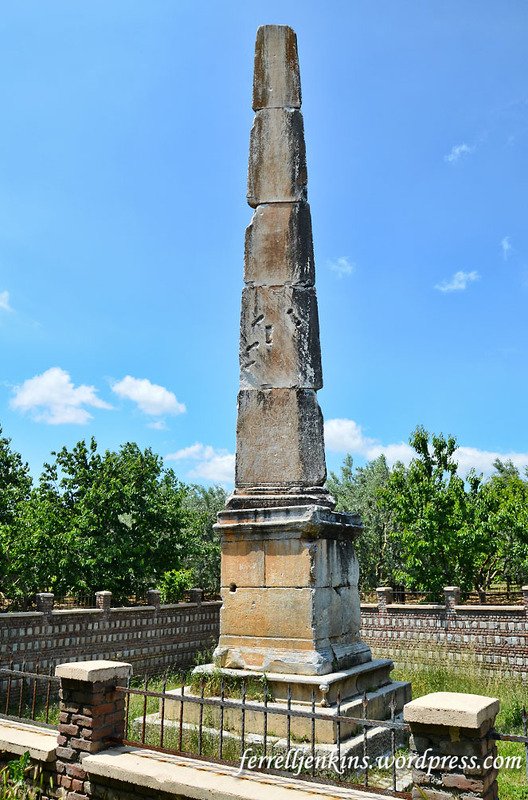 The stone obelisk on the road from Nicea to Nicomedia. Photo by Ferrell Jenkins. A sign at the site describes the monument in Turkish and English. I think you may agree with me that the last English sentence doesn’t make much sense. 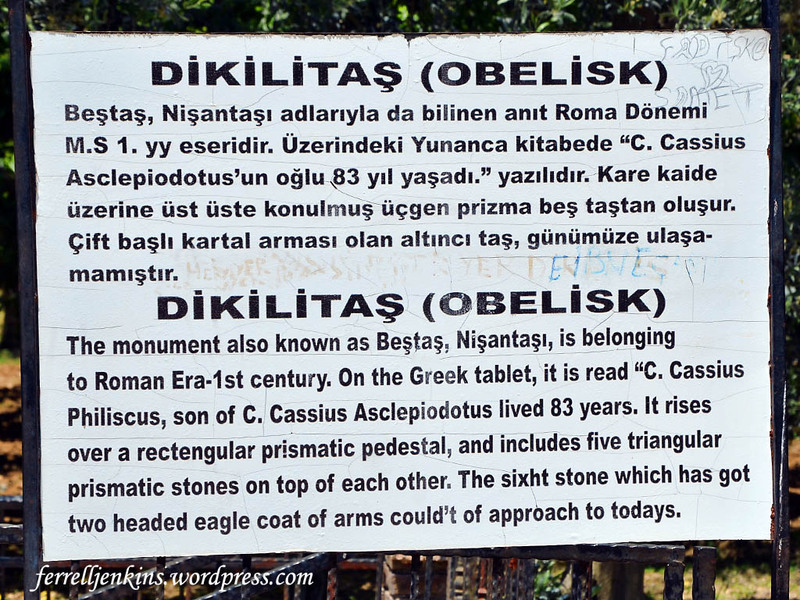 The sign identifying the obelisk from the Roman period. Photo by Ferrell Jenkins. Before closing this series I think a few words on the historical background of Iznik/Nicea are appropriate. We have frequently recommended Biblical Turkey by Mark Wilson as an excellent source for those who travel to Turkey. The following points are summarized from the second edition (pp. 371-2). Antigonus founded the Hellenistic city of Antigonia here in 316 B.C. Lysimachus captured the city in 301 B.C. and re-founded it, naming it after his first wife Nicea. During the Roman period the city vied with Nicomedia for the distinction of being the principal city of Bithynia. Augustus authorized a sanctuary of Roma and the deified Julius Caesar to be built at Nicea. 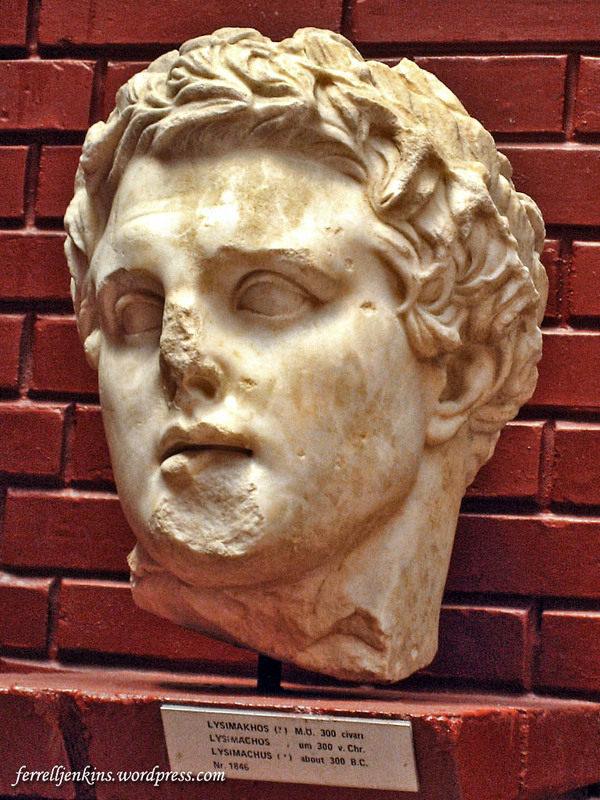 The bust of Lysimachus was photographed in the Ephesus Museum at Selçuk, Turkey, in 2008. Bust of Lysimachus displayed in Ephesus Museum, Selcuk, Turkey. Wilson is emphatic that Nicea would have been on the route of the messenger carrying the epistle of 1 Peter. This is the final article in the series on Iznik/Nicea. Hopefully there will be some who will find it useful in the months to come. I think all of the photos are large enough for use in PowerPoint class presentations. This entry was posted in Bible Places, Bible Study, New Testament, Photography, Travel, Turkey. Bookmark the permalink.